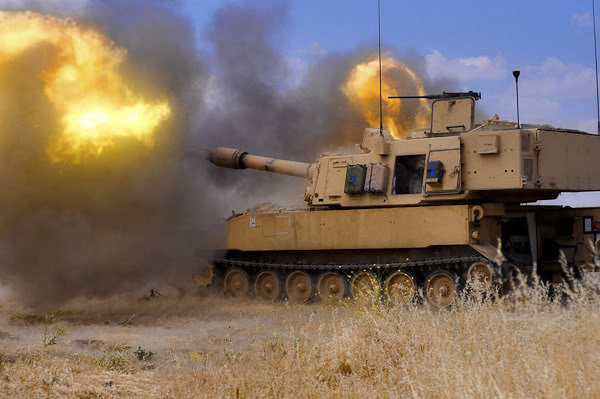 ALBUQUERQUE, N.M. — Imagine trying to solve this complex problem: You have to modernize a fleet of combat vehicles, such as tanks, tracked howitzers and infantry fighting vehicles, choosing from among more than 50 ways to update them to meet future threats. Each modernization option can be configured differently to meet a variety of missions around the globe. You are constrained by schedule milestones and the costs for research and development and maintenance and operations, and your budget can change without warning. A shift in the socio-political status of any country or the environment could have consequences that would require you to re-think your decision and, by the way, you’re planning 30 years into the future. Are you scratching your head yet? This is the daunting task faced by analysts working for the U.S. Army’s Program Executive Office Ground Combat Systems (PEO GCS), who help the nation’s top generals decide which Army vehicles to modernize for future wars. Sandia National Laboratories worked closely with the U.S. Army and others to develop the Capability Portfolio Analysis Tool for the Army's Program Executive Office Ground Combat Systems. The software can analyze countless what-if scenarios to help the nation's top generals decide which vehicles to modernize. (Photo courtesy of the U.S. Army.) Click on the thumbnail for a high-resolution image. Sandia National Laboratories, working closely with the Army and other contractors, has developed key components of a software tool to help the PEO GCS analyze countless what-if scenarios that can be manipulated as technology advances and the global environment, the federal budget or other factors change. Sandia calls this advanced combination of modeling, simulation and optimization decision support software the Capability Portfolio Analysis Tool (CPAT). CPAT won the 2012 Military Operations Research Society’s Richard H. Barchi Prize, and its Sandia developers say senior Army leaders are expanding the use of the 2-year-old tool across a number of Army modernization programs. The Sandia researchers envision adapting CPAT to help make a variety of complex decisions easier throughout the military and elsewhere. Alan Nanco, Sandia’s CPAT capability manager, said the tool that supports PEO GCS answers questions about ground combat vehicle modernization by combining optimization — mathematical formulas, software language and a user interface that clarifies results — with a large number of choices that helps the Army leadership narrow millions of choices into a handful of options that best balance its goals while staying within budget, schedule or other constraints. “The beauty of the tool that we have developed in collaboration with the Army is it’s better to evaluate how you’re going to pick among such a huge array of options if you have tools that will walk your equipment and your people through a scenario,” Nanco said. The analytic support CPAT provides grew out of a partnership between Sandia and the Army that started more than a decade ago. Sandia had been using computer modeling and simulation and system-of-systems engineering to support decisions for upgrading and modernizing nuclear weapons systems by making choices associated with reliability, safety and security, Nanco said. The Defense Advanced Research Projects Agency and the Army wanted to use that systems engineering and analysis expertise to support complex decisions for modernizing the Army’s combat systems to create “modular brigade combat teams,” Nanco said. For CPAT, Sandia worked closely with the Army to develop the structure of the models, the algorithms, the mathematical formulation for the optimization tool and the software that makes CPAT user-friendly and displays the results so analysts can use them to brief decision-makers, Shelton said. Other contractors are responsible for data collection feeding in and assumptions made by the software. Craig Lawton, the lead for Sandia’s PEO GCS projects, said other contractors input specific requirements for each vehicle’s capabilities. Then, those capabilities are matched to each mission, and CPAT takes into account operating, maintenance and research and development costs. When PEO GCS calls Sandia, Shelton said she can get answers in days — a process that used to take weeks. The results are a variety of data and graphs that help analysts quickly compare what-if scenarios or choose the best path to modernize a vehicle or see where different choices fall in meeting the military’s long-term goals. Eventually, Sandia envisions training Army systems analysts to use CPAT themselves. In the real world, most choices are trade-offs, Shelton said. “You look at different levels of modernization because at different budgets, you might not be able to afford the gold-plated solution. There’s something in between, like a happy medium, that they can afford, so they can still improve the capability without breaking the bank,” she said. As a situation changes over time, Sandia and its partners can input new information into the underlying assumptions to show how various changes have an impact on the entire system, she said. In its two-plus years of existence, CPAT already has shown its value by correcting a misconception as to whether two certain military vehicles could be modernized at the same time. “The tool reported differently and bucked conventional wisdom, leading to its success,” Lawton said. CPAT has been so successful that the assistant secretary of the Army for Acquisition, Logistics and Technology asked that it be briefed to other Army PEOs. As a result, Sandia is working with other Army PEOs, such as Enterprise Information Systems, to apply it to their complex decision-making processes. Sandia has taken action to meet anticipated demand for the tool, Lawton said. Eventually, CPAT could be adapted to other military branches or applied to entirely different, complex decision-making processes in other large organizations.